With the 2019 NBA-All Star Game in Charlotte set to tip off in just over two weeks, the anticipation surrounding the annual celebration of the league’s best and brightest is growing rapidly. And that aforementioned anticipation is not just for the game: it’s for the shoes as well. 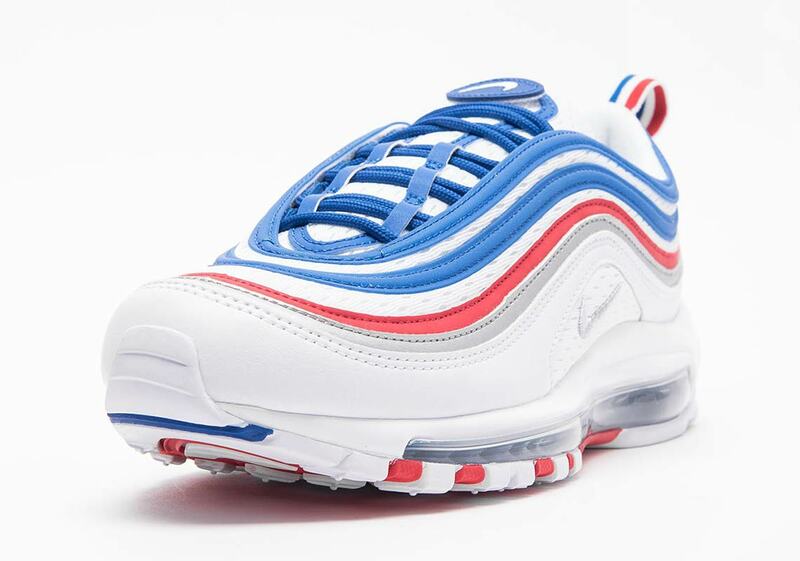 Each and every All-Star game is accompanied by a veritable profusion of special releases — both collaborative and in-line — and the latest to surface is a jersey-styled Air Max 97. 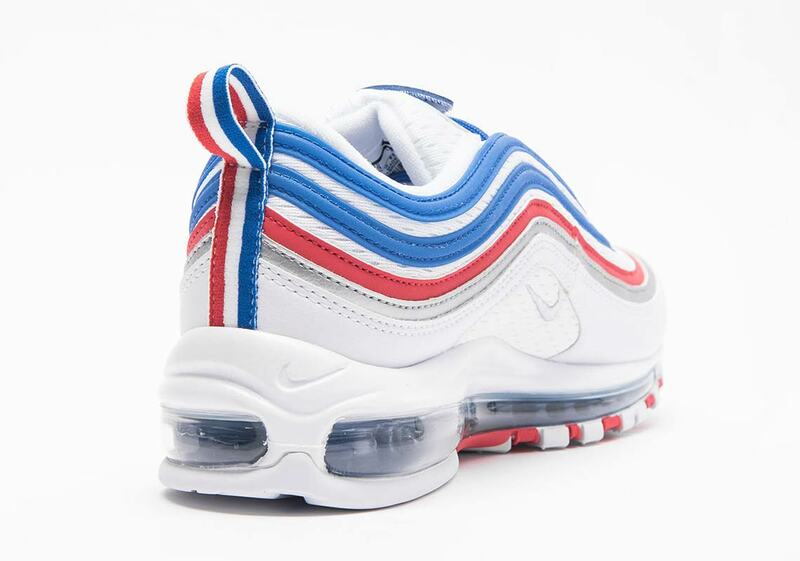 Calling upon the classic white, blue, and red palette that’s become linked with the star-filled exhibition over decades past, this 97 uses a white jersey-style material as the base to leave no doubts about its uniform-themed inspiration. 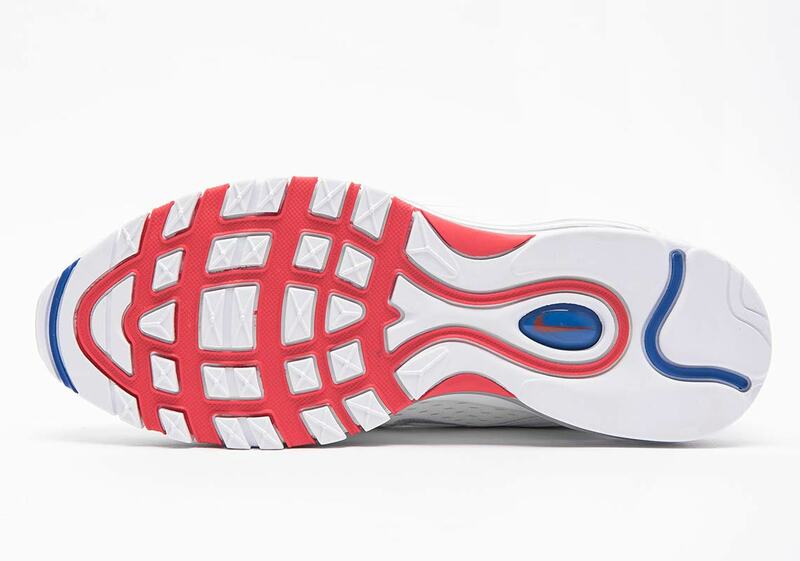 Bright red and blue accents then appear on the upper’s swooping lines, the tongue, and the tri-colored heel tab for a look that’s both playful and patriotic. 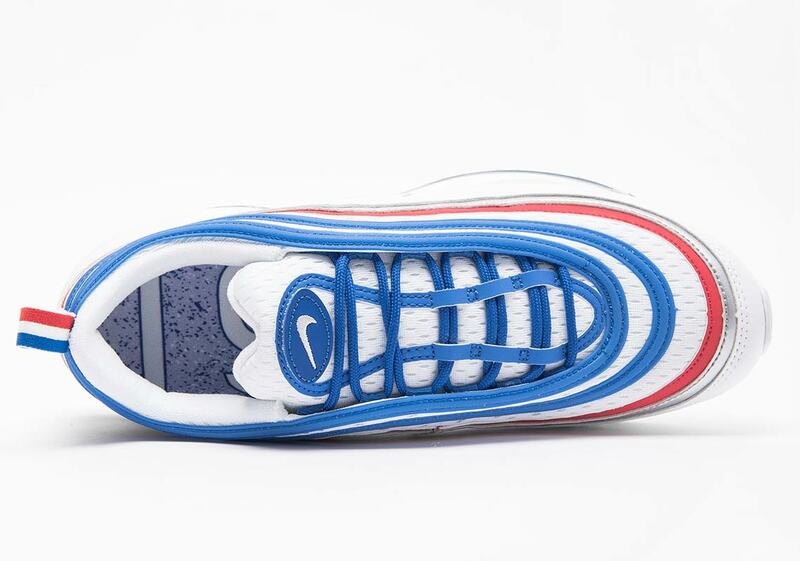 For a final colored touch, the tongue also features removable oval adhesive Swoosh patches — and the shoe is then completed by a dark royal blue Air Max unit and a special insole. 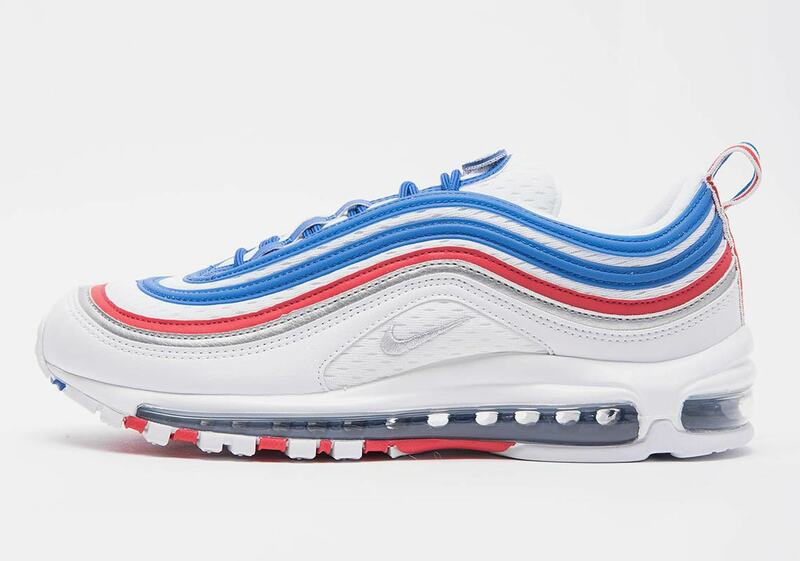 Look for these All-Star themed 97s to arrive at the Swoosh Brand stockists listed below on February 8th, and for more All-Star Max action, be sure to check out these Hornets-colored Air Max 98s.